The Greatest Showman star Hugh Jackman has surprised pupils with a good luck message ahead of a performance of music from the film. The children from Mitton Manor Primary School in Tewkesbury, Gloucestershire, tweeted him about their rendition of This Is Me from the hit film. In a video Jackman apologised for not being able to be there. "You guys are going to crush it, you're going to rock it, you're going to be absolutely amazing," he told them. 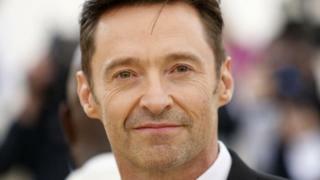 Jackman, who also played Wolverine in the X-Men films, added: "Remember life is what you choose to make it and nobody made a difference being like someone else." Harley Hopson, from the school, said: "We really focussed on the song This Is Me... the children worked hard so we thought let's tweet Hugh Jackman and see how far we can get. "In the end we got in contact with him and he sent us a video. "It was amazing and the children were over the moon with excitement when the message was played to them."